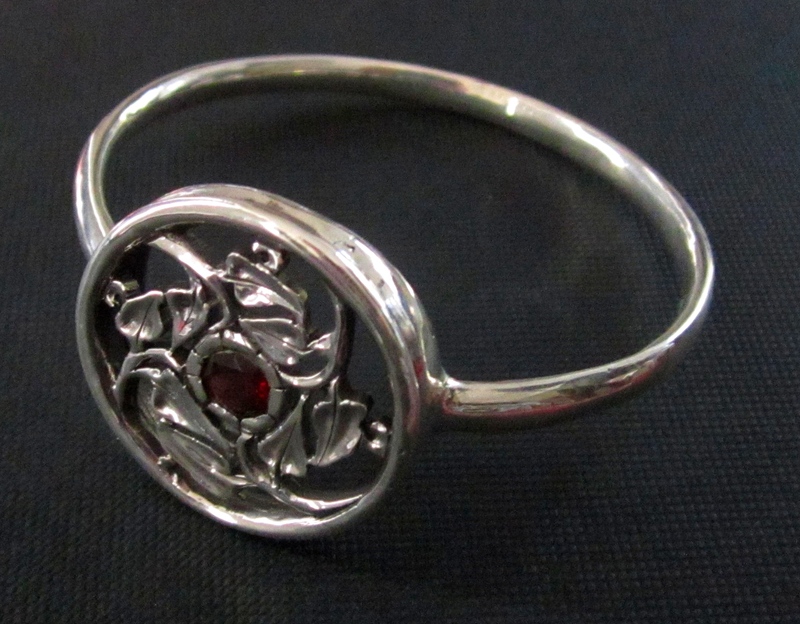 A friend wanted a bangle to go with a garnet pearl clasp at her son’s wedding. I made this – carved in wax, then cast by lost-wax casting. I wanted something which would reference both a ring and a watch, as well as suggesting a container or separated space, which could hold anything (magic).